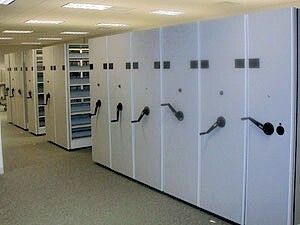 Rotary Power Files, Compact/High Density Shelving, Track Systems. All American Moving, Storage and Delivery of Columbus will professionally install your new system, or disassemble, relocate, and reinstall your existing system. We can install and replace all decking and rails, along with any other non “re-usable” parts necessary for a relocation. We can offer you one-time service for your system, or you may be interested in entering into a service agreement, where for a flat fee, your unit will be covered for a set period of time. 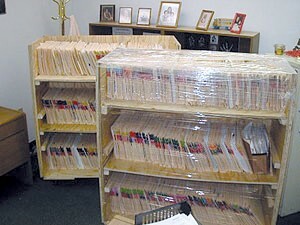 Along with moving your file system, All American will professionally move all of your contents with our specialized File Carts. 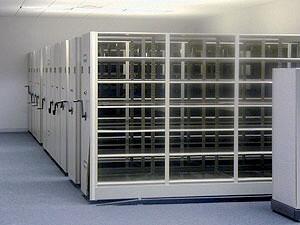 All files will be placed in the carts in order, labeled, and replaced back on the shelves in identical order. This saves you a tremendous amount of time from traditionally boxing the contents.